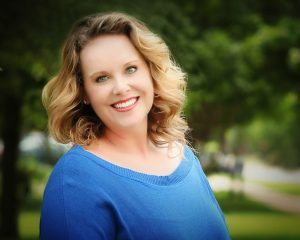 Dr. Kacy Pate brings experience, knowledge of complex ophthalmic anatomy, and skill in the management of primary care and ocular diseases in adults, children and special needs patients to Fort Worth Eye Associates. 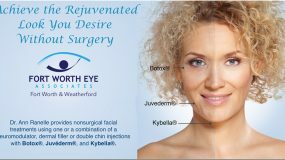 As a licensed therapeutic optometrist and glaucoma specialist, Dr. Pate manages ocular side effects from medical conditions such as diabetes, high blood pressure, and autoimmune disorders. 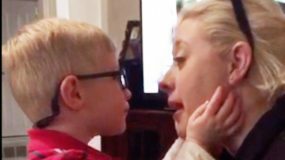 She works extensively with special needs patients, including those with cerebral palsy, developmental delays, Down’s syndrome, autism, and spina bifida. Dr. Pate medically manages ocular disorders, both pre-op and post-op, for both children and adults. 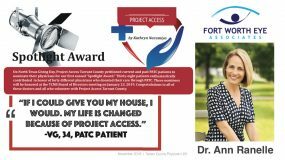 She has a passion for pediatrics and has been working closely with Dr. Ann Ranelle for over five years. Dr. Pate has over ten years experience treating strabismus, amblyopia, and nystagmus, as well as pediatric contact lens fitting. Dr. Pate is also highly skilled in fitting rigid gas permeable contact lenses for high astigmatism, keratoconus, status post radial keratotomy, and status post corneal transplant. Outside of the office Dr. Pate enjoys spending time with her husband and two boys. They enjoy traveling and spending time on the lake. 2002 Contact Lens Workshop: Included hands-on experience regarding modifications, fitting techniques, contact-lens designs, lens materials, contact lens solutions, cornea-contact lens relationships, and advanced contact lens fitting techniques. 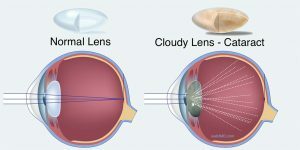 Focus was on presbyopic correction, astigmatic correction, extended wear, and various rigid gas permeable lens designs. 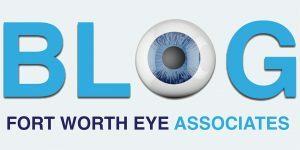 2009- Present Fort Worth Eye Associates: Providing primary eye care to both children and adults. My responsibilities include; diagnosis and treatment of patients with Strabismus (both pre-post operation), amblyopia, nystagmus, ocular medical emergencies (i.e. foreign bodies, infections, corneal abrasions, corneal ulcers, herpes), medical diseases with ocular side effects. I also do post-operative follow-up care for cataract patients. 2006-2009 Eyes Nouveau: Provided full-scope primary care optometry to adults with an emphasis in pediatrics and contact lens fitting. 2003- 2006 Ophthalmology Consultants, P.A. : Provided primary eye care to both children and adults with an emphasis on pediatrics. My responsibilities included; diagnosis and treatment of patients with Strabismus (both pre- and post-operation), Amblyopia, Nystagmus, ocular medical emergencies (i.e. foreign bodies, infections, corneal abrasions, corneal ulcers, herpes), medical diseases with ocular side effects (i.e. Diabetes, Juvenile Rheumatoid Arthritis, Migraines, Albinism, Retinopathy of Prematurity), examination of special needs patients (i.e. Cerebral Palsy, Developmental Delay, Mental Retardation, Downs Syndrome, Autism, Spina Bifida), failed vision tests referred by Pediatricians and evaluation and fitting of contact lenses. I volunteered my services to an evening clinic, twice a month, sponsored by the Lion’s Club that evaluates underprivileged children and aids them in receiving glasses. 2003 Optometric Externship: New Vision Eye and Laser Center/ Oklahoma Vision Development Center, Tulsa, OK. Four weeks spent at the Eye and Laser Center with an emphasis on co-managment between optometrists and ophthalmologists in the care of patients receiving laser surgery. Four weeks spent at the Oklahoma Vision Development Center focusing on primary eye care and orthoptics, with an emphasis on pediatrics. 2002-2003 Rural Clinic Internship: Provided primary eye care at a high volume rate in rural clinics located in Jay, Salina, Sallisaw, and Stilwell, Oklahoma. Allowed close working relationships with clinic staff and various medical physicians and numerous referral decisions. 1999-2003 Hospital-based Internship: Four-year rotation through various clinics at W.W. Hastings Indian Health Service Hospital and Northeastern State University Clinics. 1999-2000 External Screening Rotation: One-year clinical instruction and extensive hands-on screening of children and adults using modified clinical technique in rural communities. This allowed for experience with testing, evaluation of test results, and re-examination when needed. 1997 Optometric Technician: Brian Johnson, O.D. Tishomingo, Oklahoma. Assisted in scheduling appointments, frame fitting, lens-edging, chair skills, and money collection. Primary Eye Care: Comprehensive eye examinations including refractions, binocular vision analysis, vision analysis, anterior and posterior segment health evaluations, and appropriate referral decisions on patients ranging from infants to geriatrics. 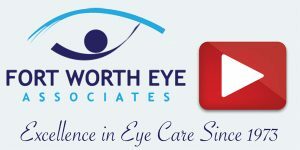 Acute Care: Diagnosis, treatment, and management of ocular emergencies including foreign body removal, ocular trauma, iritis, uveitis, conjunctivitis, corneal ulcers, chemical burns, laboratory pathogen culturing, ordering blood tests, carotid doplers, and neurological work-ups. Worked with physicians and hospital staff to establish appropriate co-management procedures or referrals. 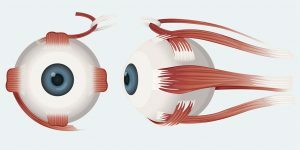 Ocular Disease: Referral-based clinic including the management and treatment of age-related macular degeneration, diabetic retinopathy, cystoid macular edema, retinitis pigmentosa, and many other ocular diseases. Co-management of these patients with ophthalmology, internal medicine, and other hospital staff. Glaucoma: Diagnosis, treatment, and management of a wide variety of glaucoma patients including acute angle closure, primary open angle, neovascular, narrow angle, low tension, pigmentary, and angle recession glaucomas and appropriate surgical referrals when necessary. Also incorporated the use of field analyzers and stereo fundus photography. Low Vision: Assessment, diagnosis, and design of vision aides associated with necessary treatment to provide patients with functional vision. Services are provided both at the hospital and external rotation at the Oklahoma School for the Blind. Neurological Optometric Care: Co-management with ophthalmology and internal medicine in the treatment and management of patients of neurological conditions such as papilledema, multiple sclerososis, myasthenia gravis, cranial nerve palsies, brain tumors, aneurysms, and various pupil anomalies. Diabetic Clinic: Evaluated and monitored the ocular health of diabetic patients, including a dilated fundus examinations to diagnosis, monitor, treat proliferative and non-proliferative diabetic retinopathy and incorporate appropriate referral when necessary. Part of a hospital-based diabetic clinic where patients were rotated through various areas of the hospital to monitor and manage every aspect of their diabetes. Dispensary: Worked with hospital optical staff to adjust, dispense, and style frames. Experience was gained in educating and recommending lens options to the patient. Participated in specific courses pertaining to proper fitting of spectacles to patient face type. Chart Review: An evaluation of charts at W.W. Hastings hospital to evaluate quality assurance and the standard of care in optometry. Contact Lens: Extensive fitting, dispensing, and progress examinations of a variety of contact lens patients ranging from spherical, toric, bitoric, aspheric, bifocal, monovision, and keratoconus. Orthoptics: Diagnosis, treatment, and management of strabismus, refractive and strabismic amblyopia, binocular vision dysfunction, accommodative and convergence disorders, oculomotor dysfunction, and learning problems including visual perception. Electrodiagnostics: Performing and analyzing VER’s, ERG’s, A-scans, and B-scans. This is the only electrodiagnostic instrumentation for several counties. Therefore, patients that are referred have the above tests performed and result letters are sent back to the referring doctors. Heidelberg Retina Tomograph (HRT): Performed examinations and interpreted results using the HRT. Made educated decisions about the progression of glaucoma based on nerve fiber layer and HRT results. Pediatrics/Infant Vision: Performed age appropriate visual acuities and ruled out ocular disease by dilation on children ranging from 4 weeks to 6 years old. Nursing Home/Long Term Care Facility: Went on-site to administer care to geriatric patients including wheel chair bound. Comprehensive examination included ocular disease evaluation and referrals as necessary. Used charting fundamentals of a hospital associated with nursing home care. Investigated optometry’s expanded role as eye care providers to nursing homes and Medicare/Medicaid coding and billing. Spectacle Fabrication: Experience with ordering, edging, and assembling of spectacles. Used in-office fabrication systems to mold progressive add lenses at rate of over 3 pairs per hour. 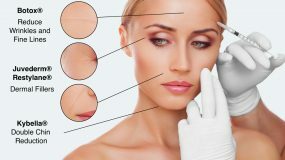 Specialty Care: Experience with suture removal, pre and post operative examinations, minor surgical and laser procedures including papilloma removal and lab consult biopsy, chalazion incision and curettage, anterior stromal puncture, punctal occlusion, posterior capsulotomy, argon laser trabeculoplasty, and peripheral iridotomies. Research: A double-blind prospective investigation was performed on the subjective and objective comparison of Frequency 55 Aspheric and spherical contact lenses. The purpose of this investigation was to compare the optical and visual performance of the aspheric versus the spheric contact lens design. Aberration measurements, using the Shack Hartmann aberrometer, and contrast sensitivity were taken through both the spheric and aspheric contact lens. This experiment concluded that aberrometry is useful in measuring aberrations and helps determine which patients would benefit from a lens such as the Frequency 55 Aspheric. Publication: A poster presented to fellow optometric students and doctors at the American Academy of Optometry in San Diego, California. Publication of my abstract in Optometry and Vision Science, 2002. Branch Vein Occlusion: An oral case presentation on personal experience of the assessment, differential diagnosis, course and management of a patient with Branch Retinal Vein Occlusion (BRVO). An in-depth look at the etiologies of BRVO and the follow-up/co-management care required. Macular Pucker: An oral case presentation on personal experience of a patient with macular pucker. A discussion on the assessment, differential diagnosis, course and management of a patient with macular pucker. Trauma Patient: An oral case presentation on the personal experience of a patient who was badly beaten and evaluated in the acute care clinic. Diagnosis of a sub-conjuctival hemorrhage, ecchymosis, and pain in and around the eye was made. Co-management of the patient was instituted to rule out a blow-out fracture through the use of a Computerized Tomography scan. Accomodative Dysfunction: An oral case presentation on the personal experience of the diagnosis of a patient with accommodative dysfunction, esophoria at distance, and exophoria at near. Objective Performance, Reaching, and Locomotion in Infants who are Blind: An oral presentation given to NSUCO faculty and students on the comparison of the development of blind and sighted children. Treatment of acanthamoeba keratitis with Chlorhexidine .006%: An article review presented to Northeastern State University College of Optometry (NSUCO) faculty and students on the effectiveness of a lower concentration of Chlorhexidine to treat acanthamoeba keratitis. Power Vectors: Application of Fourier Analysis to the description and statistical analysis of refractive error: An article review presented to NSUCO faculty and students on the analysis of refractive error through the use of power vectors. Nutrition and Health in Elderly: An article review presented to NSUCO faculty and students on the cause of declining health in the elderly that is attributed to poor nutrition. Seat Belt use in Top Grossing Movies vs. Actual US Rates: A presentation of the epidemiological study of the correlation between seat belt use in the movies and seat belt use in real life. Infertility: An oral presentation on a review of literature concerning the cause and treatment options of infertility.